Help Your Employees Make The Most Of Their Time In And Out Of The Office. C3 Offers A Range Of Visual Collaboration Solutions To Allow Meetings To Take Place In Flexible Workspaces Designed Around The Way Your Employees Want To Work. The Solutions Mean That Contributions Of Remote Attendees To Meetings Are As Timely, Visual And Interactive As in-room Participants. We believe in delivering real world business solutions using innovative technology designed to empower, inspire and motivate people to achieve results. 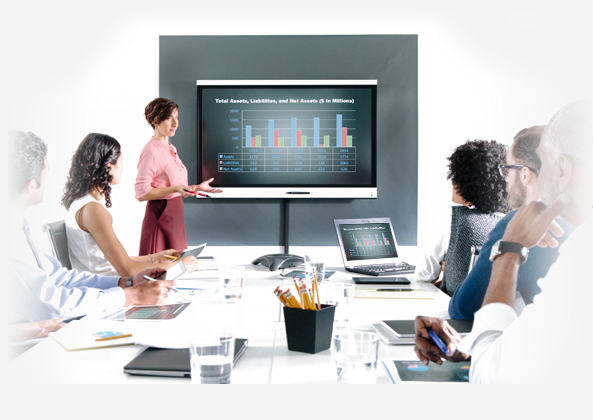 With visual collaboration solutions, people collaborate in visual and interactive ways, whether they are in the same room or in workspaces around the world. Implemented by businesses in various industries, from architecture to manufacturing to telecommunications; our solutions are designed to streamline the exchange of information and boost productivity. We have helped our customers find innovative ways to make more informed decisions, reduce costs, engage clients and stakeholders and train personnel – all by making it easier to share information and communicate ideas.